FORMER TRIAL LAWYER. MEDIATOR. TEACHER. I enjoyed being a trial lawyer and outside general counsel for over 25 years. My work was both interesting and for clients whom I respected. While I had imagined retiring as a mediator, I felt called to transition earlier to mediation and teaching yoga and meditation to be of greater service. This has morphed into a third service, teaching mindfulness practices in the corporate and professional services worlds. As a trial lawyer and outdoor athlete (surfing, snow boarding, mountain biking) I developed a primal sense of mindfulness as a way to survive and thrive. A spectacular mountain bike crash led to yoga, which led to meditation and intensive spiritual studies primarily in source, secular Buddhism, all of which has allowed me to more clearly see the human condition and provided time-tested methods, now validated by Western science, to live more fully, with deep purpose, competence and contentment. My mission is to share what I have learned and practice, to teach well-being and bring peace. Based on the platform developed by Search Inside Yourself Leadership Institute and born at Google, this training bridges age-old mindfulness and breathing practices with emotional intelligence and modern neuroscience as a path to less anxiety, increased work and life satisfaction, improved sleep, social relations, creativity and productivity. It is done on site at companies and professional services firms. Breath based and heart centered Hatha yoga and basic meditation combined to provide an oasis of vibrant, centered well being and a basis for a home practice. No experience necessary. Beneficial for all ages and physical abilities. INTERESTED IN MINDFULNESS-BASED MEDIATION WITH AN EDGE? As a mediator, I assist individuals and organizations in resolving disputes in a way that they understand, that makes sense to them and gives them closure. I am honored to serve as a mediator through ADR Services with offices throughout California. Please visit these sites for a detailed description of my mediation services. As a CPA, I have always found that January through the end of April produces the highest level of stress for me. I was constantly looking for effective ways to reduce the stress and had the pleasure of working with Mark this year. Through his guidance, and the focus on mindfulness meditation and yoga, I have not only reduced the amount of stress in my life, but have been more aligned with my personal and professional vision, and have never been more healthy. I am only sad that it took me this long to work with Mark and his approach to yoga and meditation. I am truly grateful for his assistance. 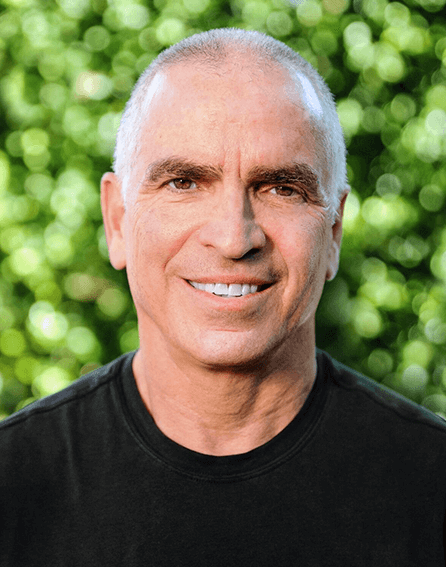 “Mark Fingerman’s mindfulness meditation training is cross-fit for your mind. Mark’s program has supercharged my focus and productivity—I now cannot imagine not practicing several times a week. Like Daniel though the den of lions, Mark regularly strides into a room of skeptics and gets them to stop, breathe, be quiet--and ultimately, to embrace mindfulness. It takes a certain skill to teach mindfulness to a room of quiet, calm acolytes; it takes a truly exceptional skill to transform a group of monkey-brained, distracted, high-stressed lions. Mark’s simple principles applied daily have made measurable improvements in my life. I have tried many mediums to become more peaceful, less reactionary and my practice of meditation and breathing have improved my relationships at work and home. Mark applies the skills that he learned as an effective trial lawyer and mediator in teaching professionals and staff ways to both listen and communicate given the complexities of the current business environment. While this sounds like business psychobabble, my experience working with Mark was positive for me as a Managing Partner, but more importantly helped our team communicate in more effective and positive ways. Specifically, we worked with Mark on an 8-hour program, which we broke down into 8 one-hour weekly sessions. This gave our team members time to practice the skills they’d learned prior to the next session. Before starting our mindfulness training, we met with Mark who showed us how he could adapt the program for our firm’s specific needs. It is clear that Mark’s multi-faceted life as a trial lawyer, yoga instructor, surfer and mindfulness coach made the program interesting, useful and fun for me and for our team. I can highly recommend Mark’s mindfulness training to virtually any organization. With Chade-Meng Tan, founder of Search Inside Yourself Leadership Institute, San Francisco, October 2016.